^ Aviation Safety Network > Statistics > Worst accidents > 10 worst accidents in North America. aviation-safety.net. [2011-04-16]. ^ Taylor, Troy. 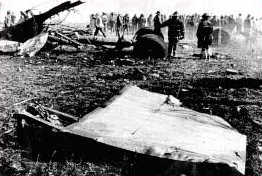 Lingering Sprits of Flight 191. prairieghosts.com. 2003 [2011-04-15]. ^ Investigation: American Airlines 191. AirDisaster.com. [2006-07-26]. （原始内容存档于2006-08-13）. ^ Special Report: American Airlines Flight 191. AirDisaster.com. [2006-07-27]. （原始内容存档于2006-07-21）. FAA "Public Lessons Learned from Accidents -American Airlines Flight 191"